Chickens at the University of Illinois at Urbana-Champaign. Foster Farms has advertised that the company is using probiotics in its chickens to help prevent Salmonella. In a step to reduce Salmonella in chickens, Foster Farms representatives said they are feeding probiotics to the company's poultry through the water supply. But there currently are no probiotics approved for use in livestock, according to U.S. Food and Drug Administration officials. The Centers for Disease Control and Prevention recently announced that there were more Salmonella cases from raw poultry. Since March 2013, nearly 500 people have become sick. Probiotics are a type of good bacteria believed to improve immunities and other health benefits. Foster Farms was reached for comment but declined interviews for this report, despite multiple requests. In a 2013 multi-state outbreak, hundreds of people became sick after eating Salmonella-tainted chicken. The outbreak was linked to California producer Foster Farms. That total has increased to more than 480 people since March 1, 2013, the Centers for Disease Control and Prevention reported on March 3. Food and Drug Administration officials said that regardless of whether a probiotic is in livestock feed or water, it would still need to be regulated by the agency. Probiotics -- also called direct-feed microbials -- are considered food additives and are regulated by the FDA. 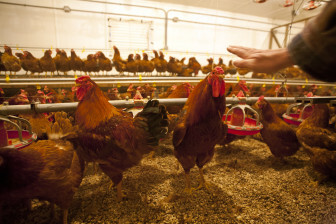 It is unclear if Foster Farms workers are feeding their chickens an unapproved probiotic, or feeding them an approved substance that is actually not a probiotic, or even a substance that is in a research phase. Foster Farms representatives have been promoting the use of probiotics in press statements, on the company's website and in a video about the steps it takes to ensure food safety in company products. See also: "Salmonella outbreak continues; policymakers question standards"
“Without the name of the product and a full label review by our compliance staff, it’s impossible for us to determine whether the product mentioned meets the definition of a probiotic or a food additive. That said, there are currently no probiotics approved for use in livestock,” said FDA Spokeswoman Siobhan DeLancey in a Jan. 24 email. DeLancey declined to discuss if there would be an FDA investigation into the matter. “If we were to investigate, we would communicate our findings directly to the company,” DeLancey said. While the long-term success has yet to be determined, current research indicates probiotics could be the tool of the future for reducing Salmonella in poultry and beef. There has been “a significant increase in probiotic use for the specific purpose of improving food safety” in recent years, said Mindy Brashears, professor of Animal Science at Texas Tech University. Her research looks at probiotic use in beef cattle. 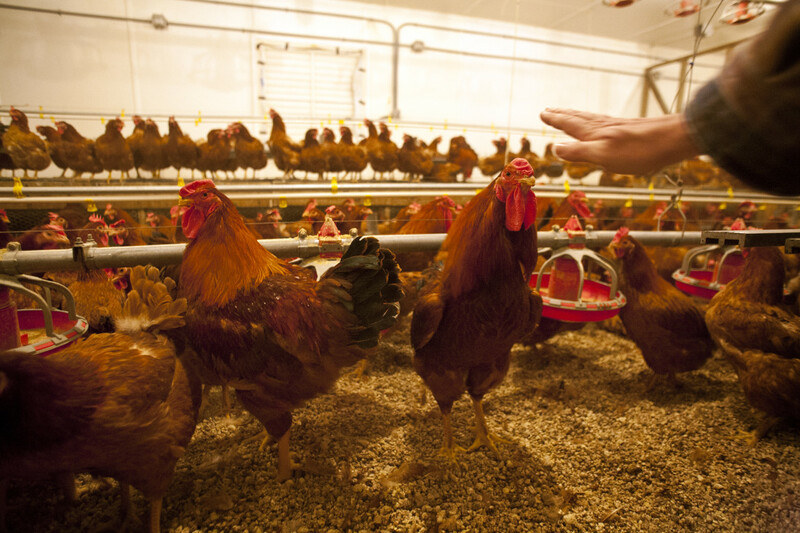 Brashears had no first-hand data on the impact of probiotic use in poultry. She did note that her research has observed pathogen reduction in cattle in as little as 60 days. She said the longer a probiotic is used in cattle the greater the reduction. Last year in a series about Salmonella and eggs, the Midwest Center for Investigative Reporting initially reported on the potential of probiotics as a preventative measure. Probiotics had traditionally been studied in relation to animal performance, said Brashears. Brashears’ research looks at the impact of probiotics on the reduction of pathogens in livestock. She said that E. coli O157 and other pathogens can be significantly reduced in the gastrointestinal tract of cattle and on the hides, and recent studies show that Salmonella can be reduced in the lymph nodes of cattle. While researchers seem optimistic, federal regulation of the use of probiotics in livestock is not clear. Questions on the use of probiotics in livestock were deferred to the FDA by the U.S. Department of Agriculture media liaison. “Depending on the intended use of the product, FDA would regulate probiotics as new animal drugs or as food additives,” said DeLancey. “If the product meets the definition of ‘food additive’ it would be regulated as such under section 409 of the Federal Food Drug and Cosmetic Act," she added. The Office of Surveillance and Compliance Division of Animal Feeds reviews food additive petitions. However, it was unclear if probiotics for livestock are regulated the same way probiotics for humans are. The Food Safety and Inspection Service office did not reply to any requests for information.